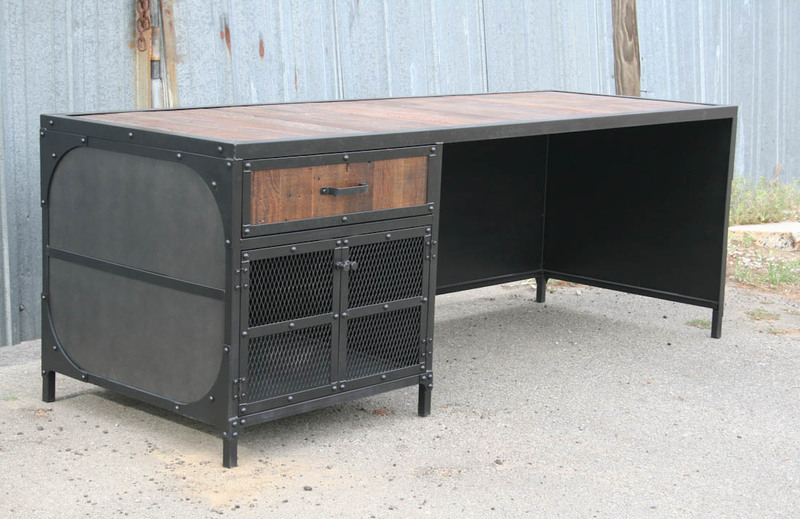 Are you looking for a new desk for your home or office? I may have just the piece for you. This one has already been delivered to the client, but I would be happy to get started on a new one for you. 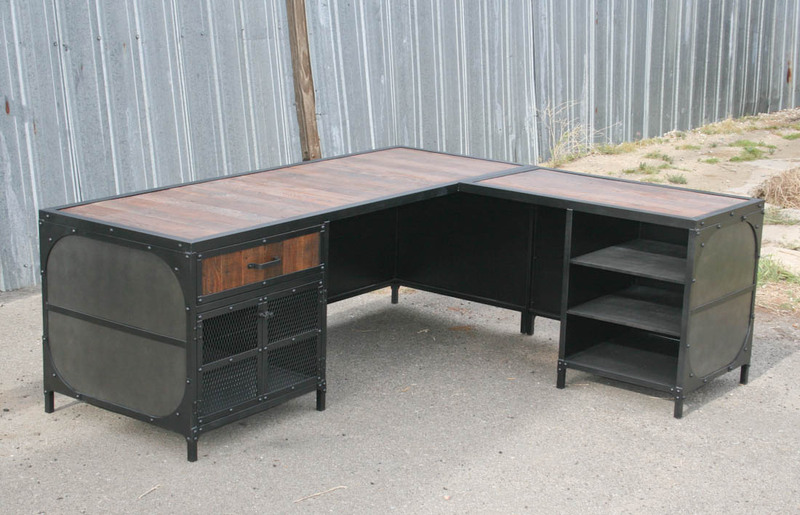 The desk can be made with or without the return (see below for pricing information). 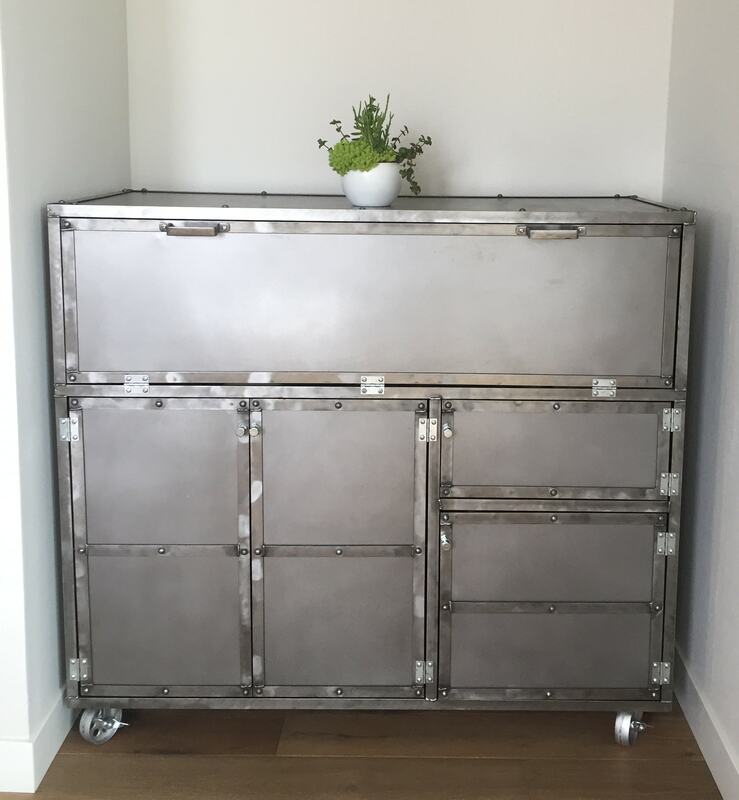 Without it, the dimensions are 86″ x 34″ x 30″H. 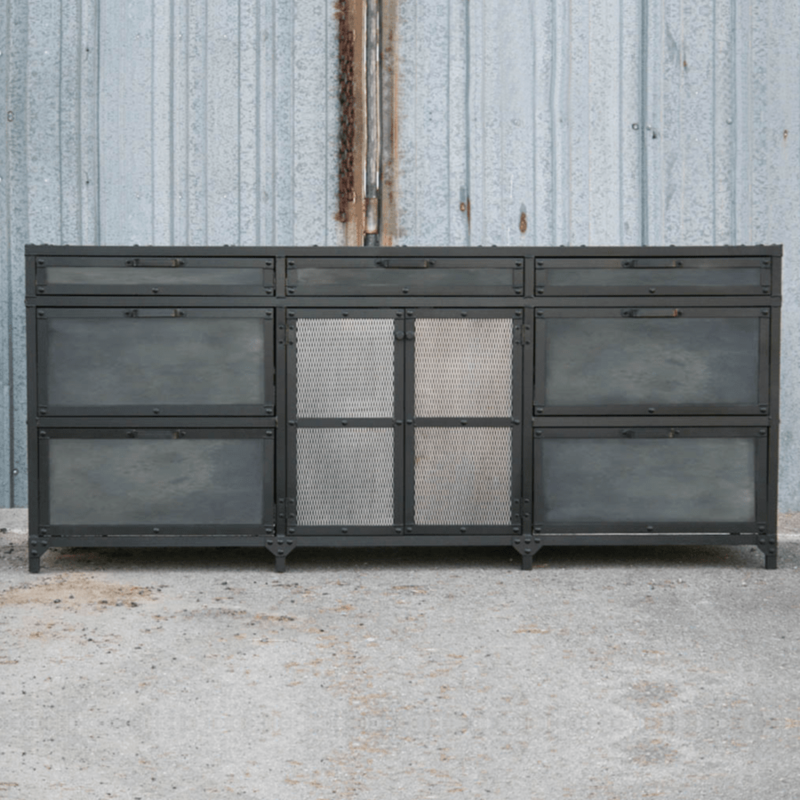 The return shown in the photos is 48″ x 24″ x 30″H. 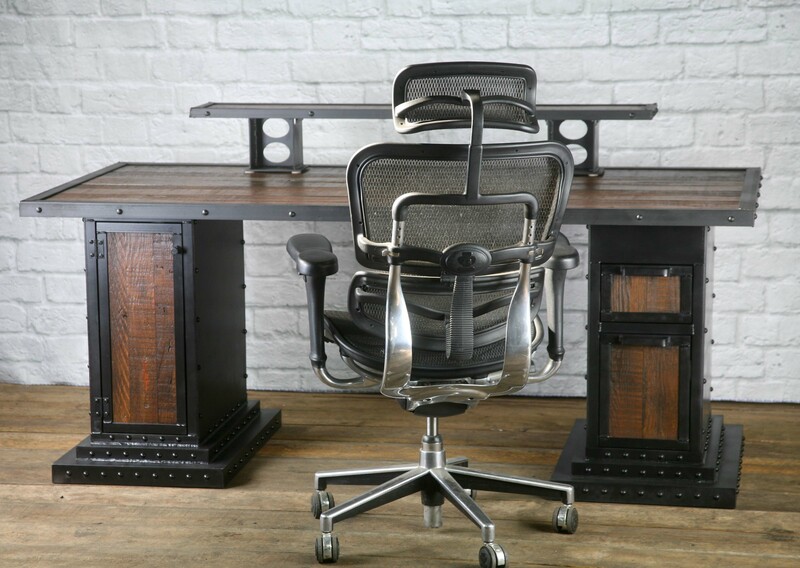 I can build the desk in just about any size/configuration you like, just be sure to contact me prior to ordering to inquire about any changes you may want. 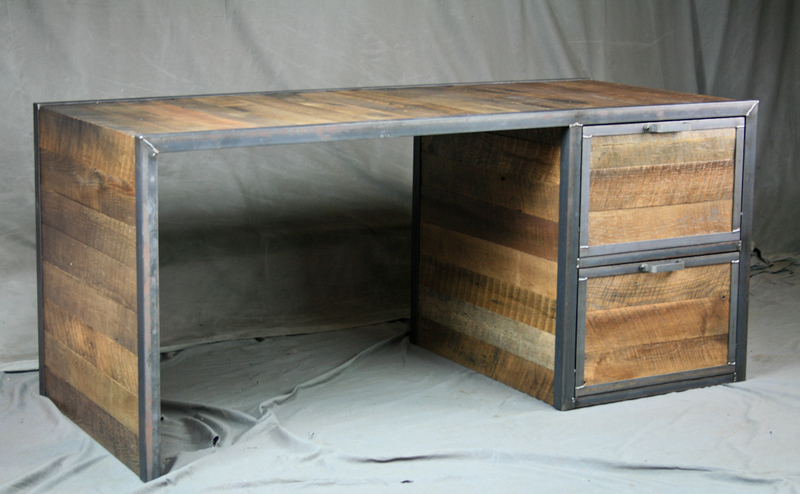 This incredibly sturdy desk is made of steel and reclaimed wood. As you can see it has one drawer and an enclosed cabinet area. 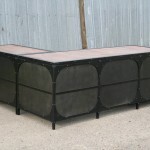 The doors there are mesh but could be done in solid steel, or reclaimed wood. 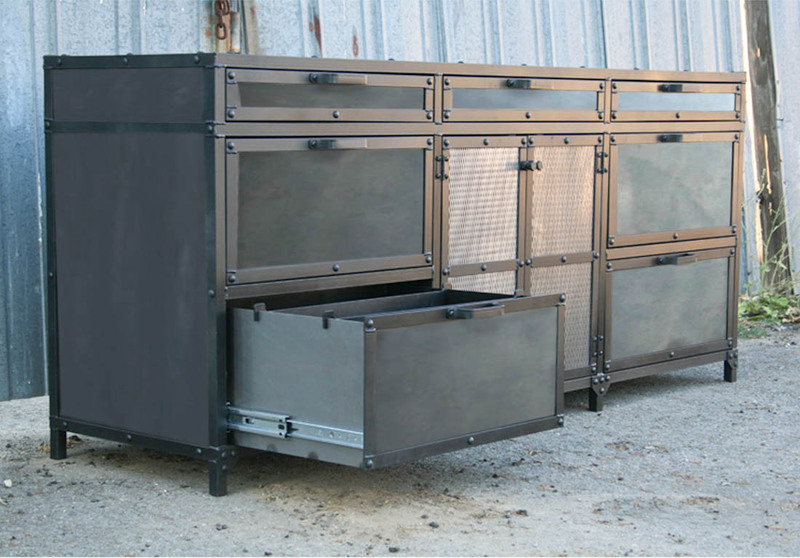 The return has been made with 3 shelves, but could also be made with drawers, or a cabinet area like the other side. 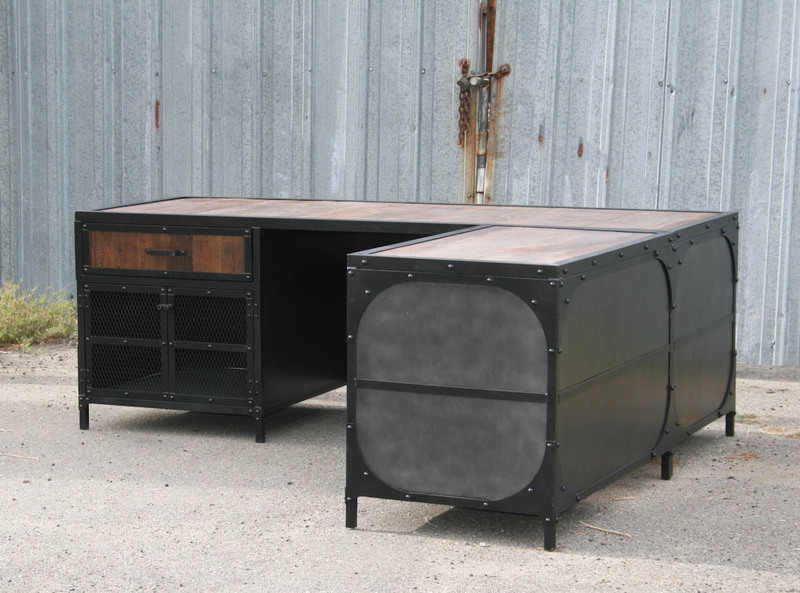 Keep in mind that we can add more drawers, shelves, file cabinet, or whatever you would like. 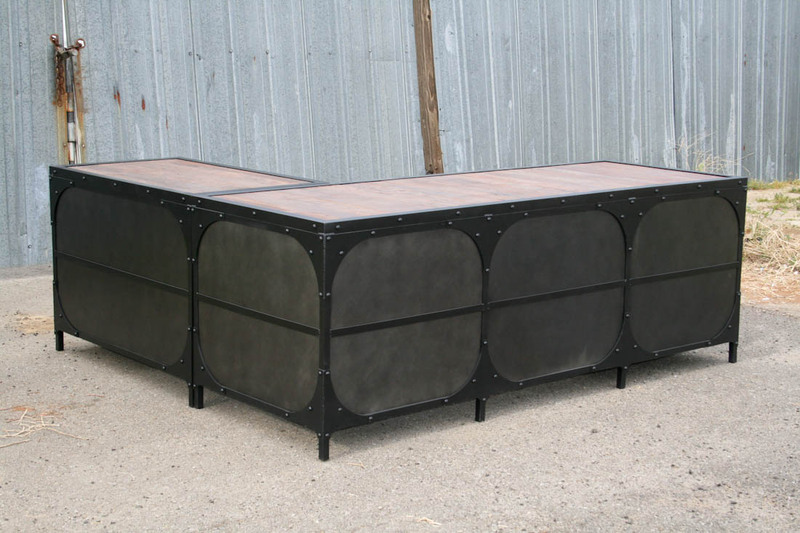 We can even build it with casters, so it will be easier to move around when needed It will be completely made to order, so the options are truly up to you. While some changes can be made at no charge, some will affect the price. 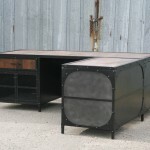 As you can see, the sides have been done in an incredible black patina. 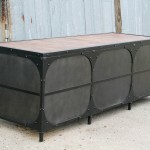 The patina is a true chemical reaction and will vary between pieces. So, no two pieces will ever be exactly the same, and yours will be truly unique. 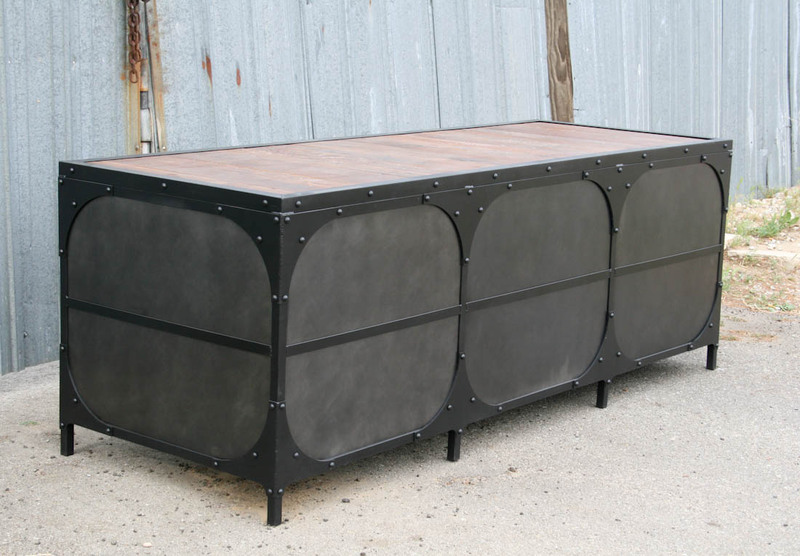 We can do the sides in just about any color you like, or could also do reclaimed wood. 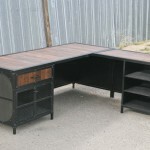 We also make recording/production studio furniture. 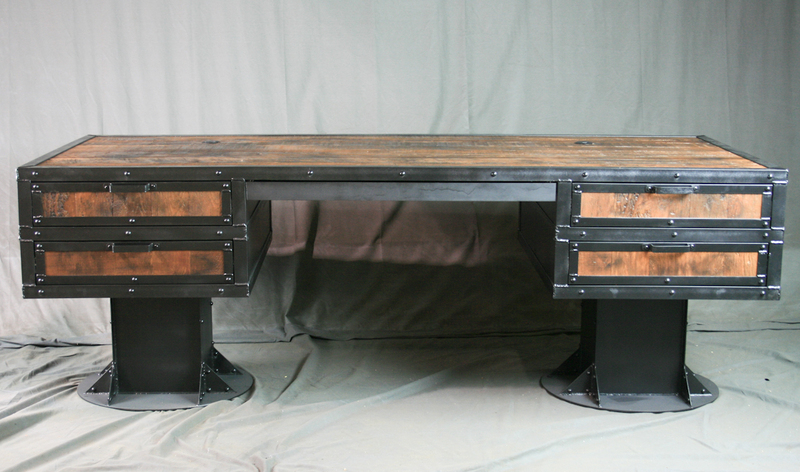 This desk is an example of one that (with a few modifications) can be used for that application. 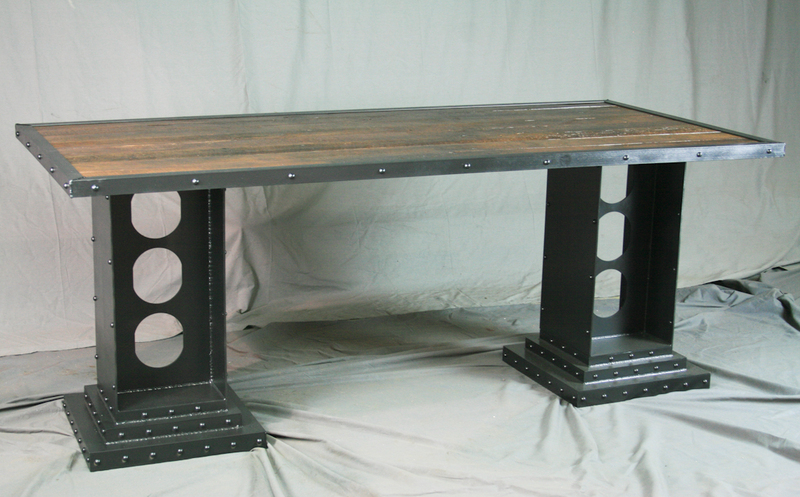 We can add rack rails, risers for monitors, etc. Feel free to contact us with any questions or ideas you may have for a piece of your own. Price without the return is $3,800.00. 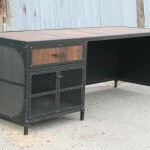 Desk with return (as shown) is $5100.00. Contact us for pricing on any changes you would like made.